An inclusive gathering space where students can study, relax, and learn about ability and difference. The AccessAbility Center was founded in April 2017 on the premise that in order to value disability, you need to understand and appreciate different abilities. People who have not interacted with an individual who has a disability – and even some who have – often make assumptions about that person’s ability and value. All people have varying abilities, and we believe that these differences bring rich texture and unique beauty to our community. A place where you get to define yourself. The AccessAbility Center is a new student gathering space on campus designed for universal access and intended to foster conversation about ability, access and difference. The mission of the AccessAbility Center is to provide opportunities for students to actively explore differing abilities, envision disability as part of diversity, and understand how difference can enrich the educational experience and lives of those in our campus community. The name “AccessAbility Center” expresses two of our core philosophies: supporting access for all and focusing on ability rather than disability. Universal access across multiple domains - physical, technological and, academic to name a few – creates an optimal environment for everyone. Our underlying theme, “Ability Attitude: ‘I define me.’” is a message that we want students to take to heart. Each person’s unique abilities and attributes can define them. For some, disability is only part of who they are and may or may not be a piece of the identity by which they choose to define themselves. Automatic door opener, adjustable height desks and chairs, ergonomic computer equipment. Braille labels on equipment, visual and hearing access profiles on computer workstation, mobility orientation to space available upon request, American Sign Language alphabet displayed. Cool and calming paint color, seasonal affective disorder light box, emoji emotion magnets, stress relief balls, play dough, adult coloring books, and write ‘n wipe doors to express yourself. 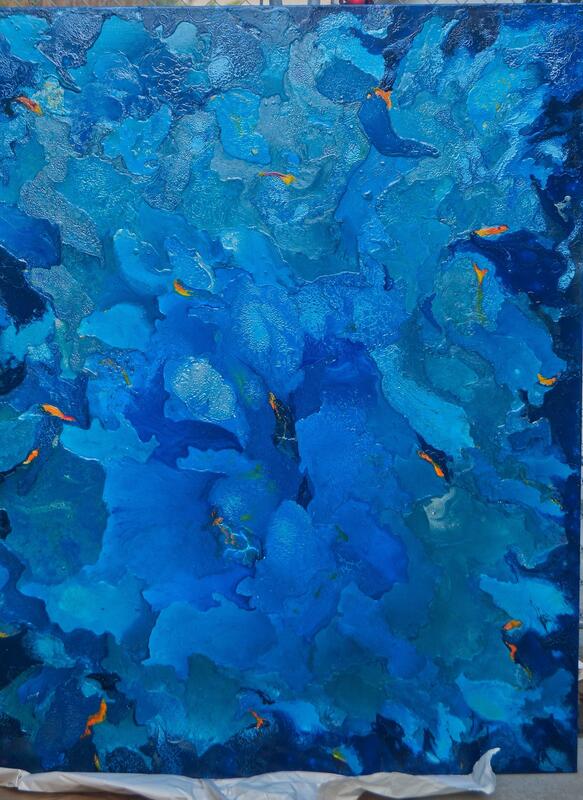 Commissioned painting entitled “Rise Up” by Shana Stern, an artist with Multiple Sclerosis who paints with her fingers and knuckles rather than a brush. Hands used to portray ASL alphabet feature Princeton students who study ASL on campus. Squishy balls and play dough available to relieve stress. A variety of lighting, including overhead, desktop, light box and wall sconces for different needs. Computer with profiles set up to utilize accessibility features and software, scanner. Apply to be an AccessAbility Center Student Fellow. Share your ideas for speakers, common interest groups or conversation circles. Plan your own event with the support of our Student Fellows and staff. Bring your group to our comfortable meeting space. Email ability@princeton.edu for information. E-mail ability@princeton.edu to receive information on events and opportunities for involvement.